This week I've been reading a lot of blog posts about Proposition 21 in California, an effort to prevent state parks from closing. I'm not a California resident and I only recently became aware of this issue, so I'm far from being an expert. But any mention of closing state parks saddens me, especially in one of our country's most beautiful states. We've never taken the arrow to California but I hope we make it there someday. And when we get there, I'd sure like the state parks to be open. 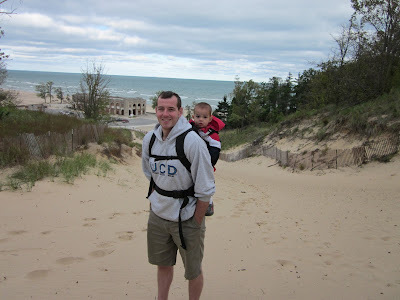 In honor of the efforts to pass Proposition 21, I thought I'd share a photo from a recent trip my family made to Indiana Dunes State Park. To me, this place encompasses why national and state parks are so important. 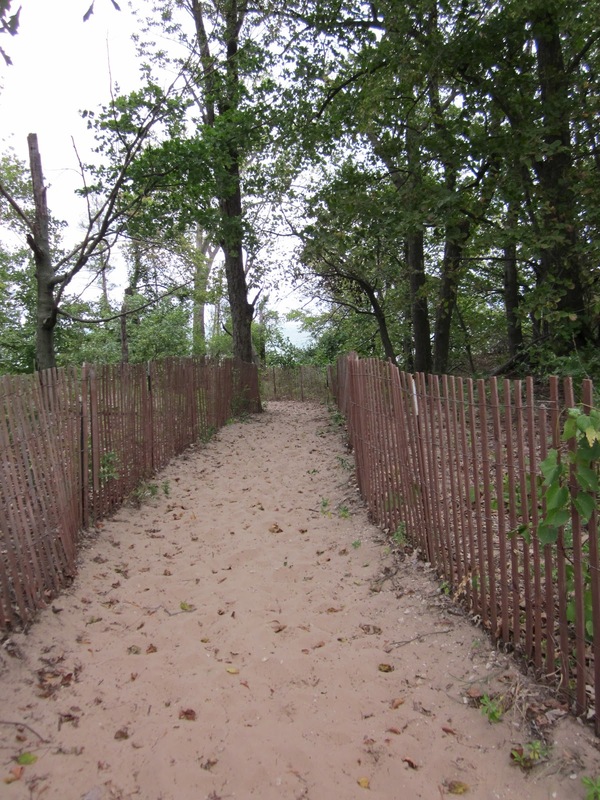 Not only has Indiana Dunes allowed one of the Midwest's most beautiful spots to be accessible to all who want to visit, but it has preserved this area in a way that ensures its fragile ecosystem will thrive. The fences in the picture above allow people the chance to hike up the massive dunes, while protecting most of the native grasses that grow all over the dunes and prevent their erosion. Playing in the sand, Hoosier style. 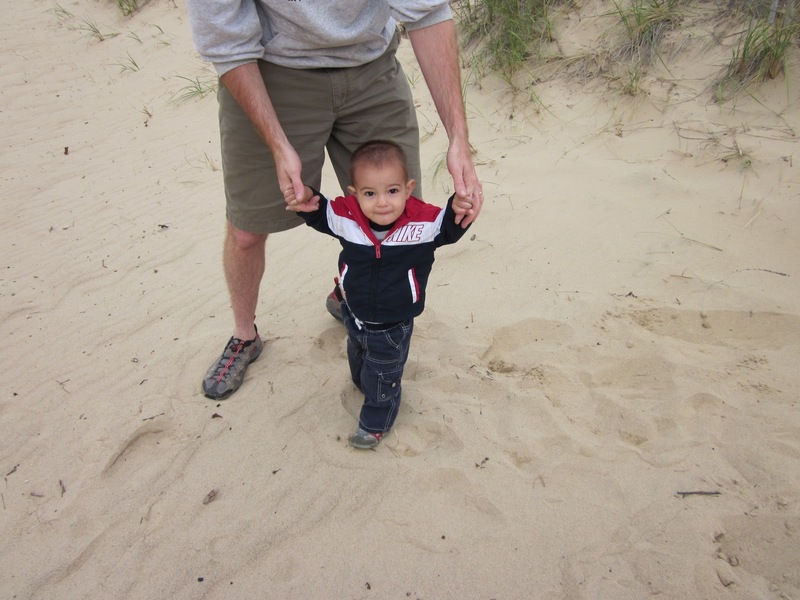 This post is a part of Spotlight Thursday at Trekaroo and Photo Friday at Delicious Baby. Both blogs are calling attention to Proposition 21 this week. On behalf of California, thank you!! And we will take you and the Arrow and the other half of your bow (??) to as many state parks as you can handle when you do get out here! Having lived in California and near the Indiana Dunes - I totally agree. State parks have an important place in the preservation of these areas. Now I want to come to Michigan. What a beautiful park. Thanks sharing your insight on the importance of state parks. Lovely photos and what a worthwhile reason to share them. I've never been to California but I absolutely support the cause. Thanks for your post on the Indiana Dunes. It truly is a national treasure! As a former California resident, the state parks are amazing. Everything from deserts to ocean to high mountain peaks. Beauteous, just beauteous. I am not sure that Prop 21 was the best way to preserve the parks, but I seriously pray from the bottom of my heart that the Golden State finds some way. Soon. And since I now live 15 minutes from the Indiana Dunes, they are spectacular. If you haven't seen them, please consider a visit. And go beyond the beach - the botanical diversity here is among the world's highest number of species. Truth.